Minimal assembly required. Concealed soft-close door hinges. White Carrara Marble top. Counter includes 3 inch backsplash. Metal exterior hardware with polished chrome finish. 2 functional doors. Plenty of storage and counter space. 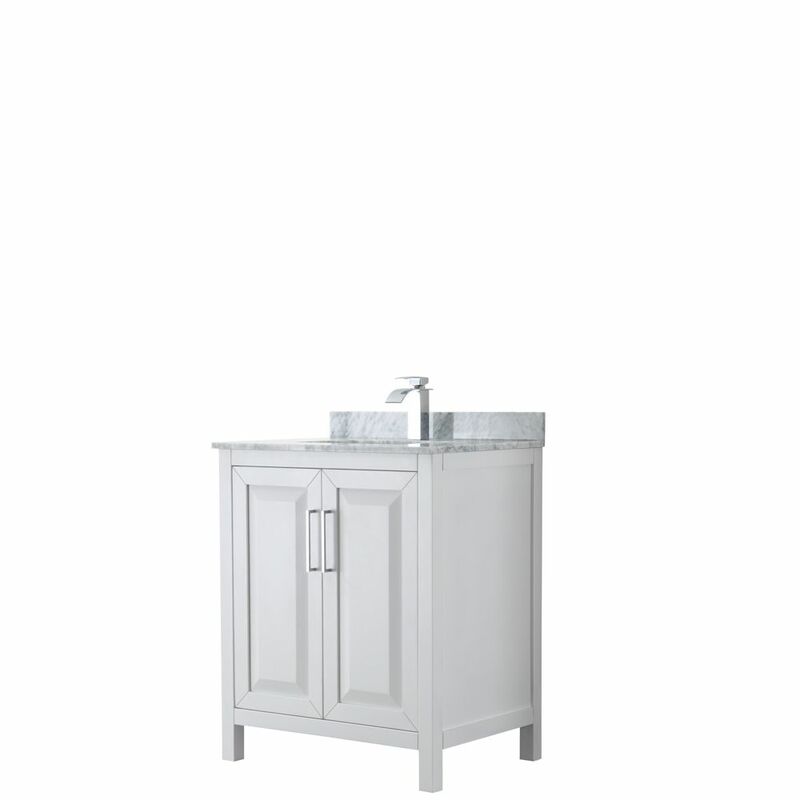 Soft-closing doors and drawers mean you'll never hear banging or slamming from this elegant Berkeley 48-inch vanity in white. It includes a gorgeous Carrara white marble countertop, oval under-mount sink and 44-inch mirror to supply a comprehensive bathroom upgrade in on fell swoop. Generous storage space lies within the vanity's five drawers and two cabinet doors, each equipped with brushed chrome hardware for a distinctive look. Daria 30 inch Single Vanity in White, White Carrara Marble Top, Square Sink, No Mirror The beautiful Daria collection vanities stand out in any bathroom with strong, clean lines, raised panels and elegant counters with square sinks. There's plenty of cabinet space, the doors are soft-close construction, and chrome detailing completes the look. Daria vanities deftly combine the function of today with a nod to the elegance of the past. It's the new modern classic styling with a contemporary twist.